In case you do not know, Packt is a publisher of books and videos focused in technologic: IoT, programming, security, etc. 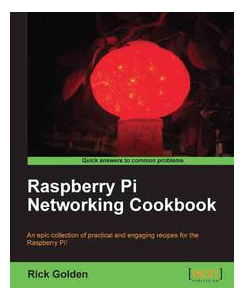 They lead throughout the month of November giving away books and what is my surprise when the book today is: Raspberry Pi Networking Cookbook. The book is priced at 23 Euros but today you can get it free. Hurry up!. Only for a limited time. This book is for anybody who wants to learn how they can utilize the Raspberry Pi to its full potential without having to immediately dive into programming. It's full of step-by-step instructions and detailed descriptions in language that is appropriate for computer enthusiasts and experts alike.